The system utilizes passive reflective markers - i.e. tiny retro-reflective spheres that are adhered to the patient's body. This means that there is no need for batteries or cables, allowing for unobstructed analysis. When a system is delivered, it is ready to be setup. Simple instructions for camera placement, cable connections and software setup are included. Need on-site training and installation? No problem! Just ask! 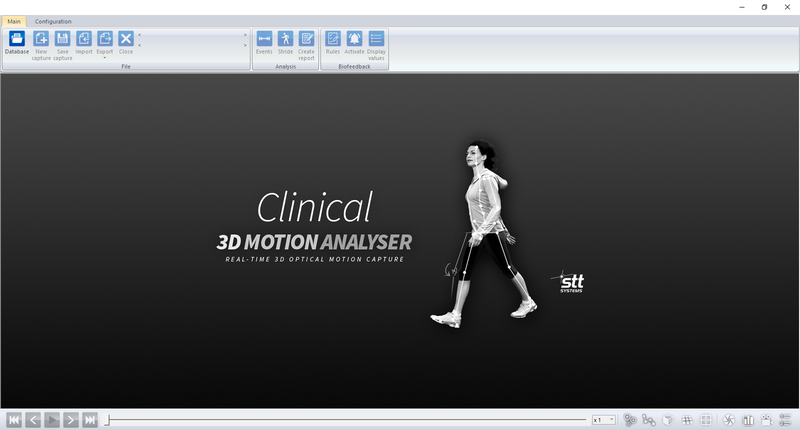 Clinical 3DMA features a simple interface for calculating a multitude of variables about patients' overall gait characteristics - whether walking or running. 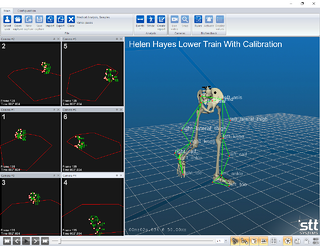 The system is also designed to allow for lumbar/cervical analysis, as well as analysis of individual joints. 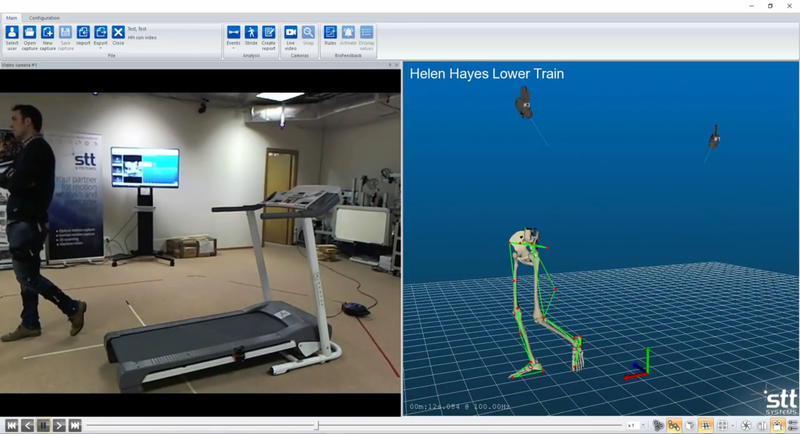 Through the use of STT's automatic tracking algorithms, the system is able to collect a single gait cycle on a walkway, or multiple gait cycles on a treadmill. With easily customizable report templates, you can make the report you provide to your subjects uniquely your own. The system automatically populates report pages with all relevant data collected during the analysis (depending on the selected analysis protocol), and with the system's database you can easily compare current trials to previous ones side-by-side. 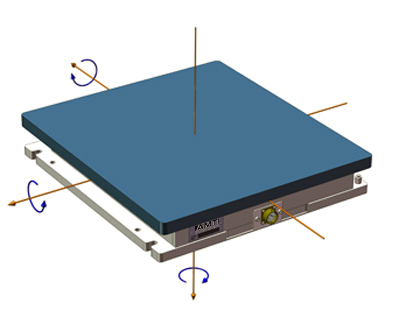 Need to integrate your existing force platforms, EMG system, pressure plate, or other A/D devices? No problem! A wide range of 3rd party measurement devices are supported and synchronized with the Clinical 3DMA system. Want to build out a specific test or protocol, or require a different device integration? Let us know! For more information about Clinical 3DMA, contact us below! Looking for more flexibility and an unlimited capture volume? 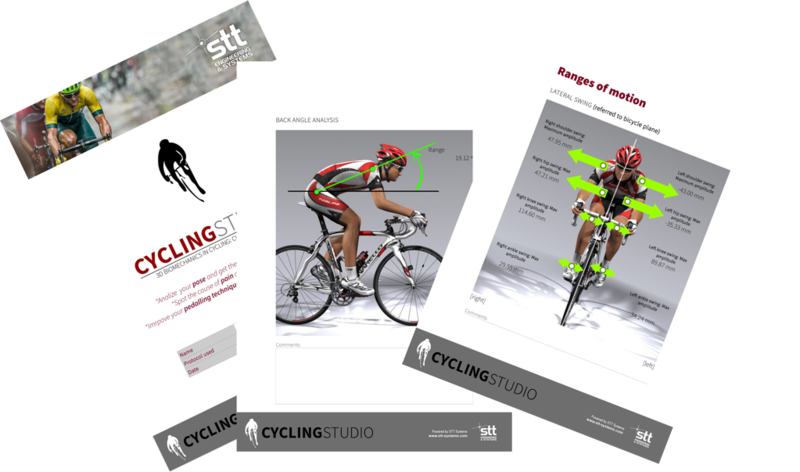 Check out the iSen system from STT!